Looking For Video Surveillance Alarms Access Control Systems? 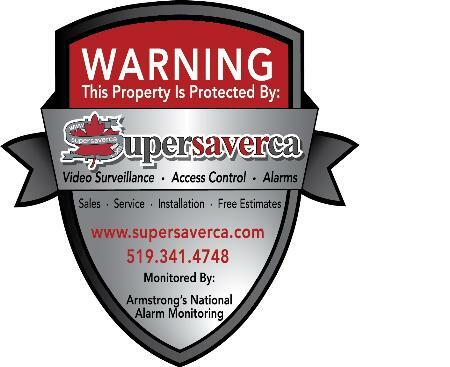 Supersaverca Video Surveillance, Alarms & Access Control Systems Is The Largest Supplier Of Business and Home CCTV Video Security Surveillance Equipment and Alarms & Access Control Systems Products Made From Only The Highest Quality Components At The Lowest Possible Cost and offering a complete line of video surveillance equipment, Alarms & Access Control Systems, parts, service, and installation at your 1 stop security protection shop! Chris thank you so much for trusting our company Supersaverca Video Surveillance, Alarms & Access Control Systems with your security needs and concerns. It was our pleasure to give you and your family the peace of mind you solely deserve.Always remember should you require anything further,have questions or concerns we are just a phone call away. Customer service is our #1 priority.